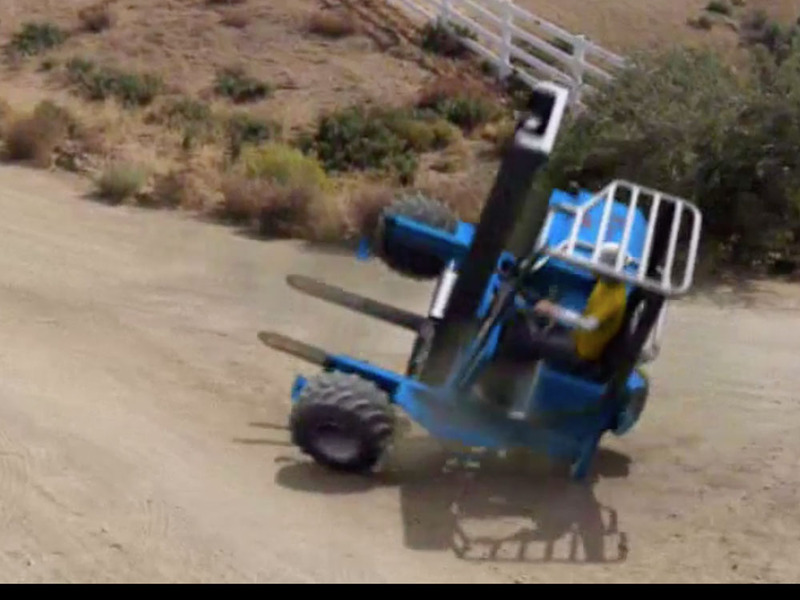 The compact size of a skid steer is a benefit but also a hazard to the operator and bystander. Skid steer tractors provide significant utility in the construction and agricultural industry due to their compact size, relative ease of use, and the significant number of attachments that are commercially available. 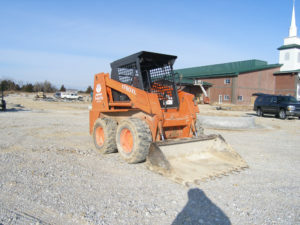 In fact, although skid steer tractors were first primarily used as loaders by attaching a bucket to the skid steer, a significant number of uses are possible due to the ability of the skid steer to supply hydraulic power to an attachment. Skid steer attachments can include pavement sweepers, snow blowers, backhoe attachments, jackhammers, grapples and many other applications. Although the compact size of skid steers results in a very useful piece of equipment, the compact size also results in hazards to the operator and bystanders. 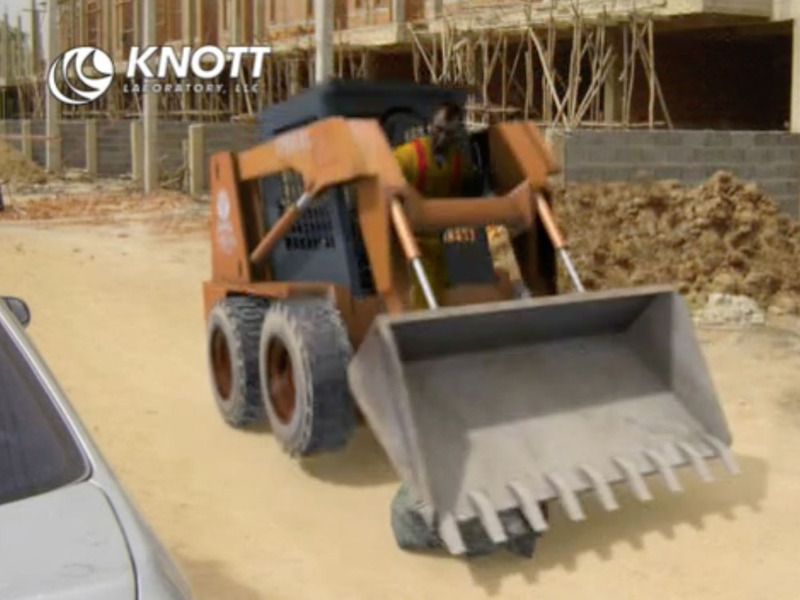 The compact size results in a short wheelbase and narrow track width that decreases the stability of the skid steer and increases the possibility of roll over accidents. The compact size also means that the operator is in close proximity to the loader arms as they raise and lower the attachments. The National Institute for Occupational Health and Safety has found that the leading cause of fatal accidents associated with skid steers are operators caught between the loader arm and tractor. 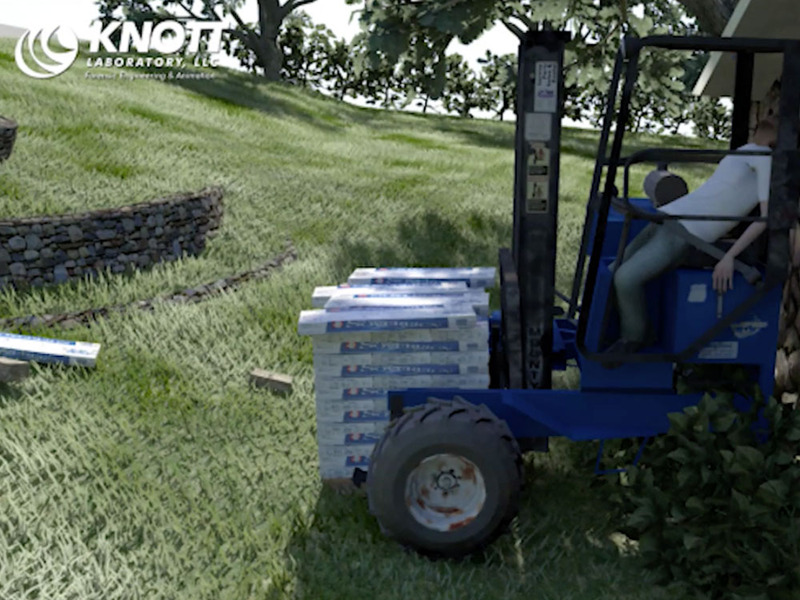 Knott Laboratory engineers have investigated accidents involving stability, hydraulic failures, attachment failures and other accidents modes. Please contact Knott Laboratory to determine how we are able to help investigate your case.